Can't find an answer? Call us at +92 (42) 38100050 or email info@finja.pk! Finja is a startup company founded by veterans of tech and banking industry with a mission to introduce financial services through collaborative interoperable digital ecosystem. A band of individuals brought together to remove cash from the ecosystem. Committed to revolutionizing Pakistan’s relationship with money, Finja strives to make payments faster, simpler, safer and most importantly; free. What is a mobile wallet? What transactions can I perform using SimSim? A mobile wallet is a way to carry your financial information in a digital form on your mobile device. Instead of using your physical plastic card to make purchases, you can pay with your smartphone, tablet, or smart-watch. Transfer funds to any 1-Link/M-Net member bank (IBFT). Pay at digital merchants & much more! What is the eligibility criteria for using SimSim? SimSim is for Pakistani users over the age of 18, with a valid CNIC. Why should I sign up for SimSim? SimSim is a mobile wallet that offers you a fast, easy and secure way of accessing your money anytime, anywhere. You can carry out various transactions without complex procedures. All you do is download the application from Google Play Store (Android) and App Store (iOS) and you’re ready to use SimSim in a few easy steps. How do I register for SimSim? Simply download SimSim from the App Store or PlayStore on your iOS and Android devices, and follow easy steps within the application to register. What are SimSim wallet levels and transaction limits? There are three wallet levels as per regulations from State Bank of Pakistan with different spending limits for daily, monthly and yearly transactions. Level 2 is determined by FINCA Bank subject to full KYC requirement according to the risk profile of the customer. How can I upgrade my SimSim wallet? Level Zero/Remote Zero to Level 1, you can send your picture and the front picture of your CNIC to simsim.activation@finca.org.pk for upgrade to Level 1. Additionally, you can call FINCA Customer Care Center on 042-111-111-562 for further information. To upgrade your wallet from Level 1 to Level 2, you have to get yourself verified by visiting your nearest FINCA branch along with your income or account statement. How do I add money to SimSim? How is SimSim different from other banks’ internet banking services? For most internet banking services, you need an email and a bank account. SimSim lets you open a digital wallet and access your money through a user-led interface. It is completely free and lets you manage your money as you wish. You can invite others to use SimSim and purchase from your preferred commercial users, thereby creating a digital ecosystem which other banks do not offer. All you require is the beneficiary bank name, branch code and complete account number, and SimSim lets you transfer money easily. You can easily transfer funds or use the IBFT option without registering the beneficiary account. Also there is no One Time Password (OTP) required for adding a beneficiary account. How does the bill payment service work and what are its benefits? Bill payment service allows you to pay your bills to any biller company, e.g., PTCL, LESCO, SNGPL, etc. by entering only your consumer number. SimSim will fetch the billed amount for you, allowing you to pay on anyone’s behalf at any hour. The transaction is secure as you can compare the amount shown in the application with the physical bill. You have complete flexibility and control in making payments. The bill payment facility is built within the application. Once you have registered with SimSim you just need to login using your four-digit PIN, select the biller company and pay the desired bill. There are no service charges for bill payments made through SimSim. What can I do if I forget my PIN? If you forget your PIN, please call our Customer Care Center on 042-38100050, they will generate and send you a new PIN via SMS. You will have the option to change your PIN once you login to SimSim. How secure is my information/money? We value each user’s privacy and take great care to ensure your data is protected via multiple encryption layers and visible only to you. How secure are the transactions carried through SimSim? Your mobile number – your financial identity – and device is tagged to the application. You cannot use the application on two devices simultaneously. If you switch handsets/devices, you receive an OTP on the old handset/device before you can use the application on the new handset/device. You need a four-digit static PIN to login to SimSim, which like any other PIN is confidential and known only to you. You receive SMS alerts each time you login to or conduct a transaction through SimSim. In-app notifications are also received for every transaction. You can review your mini statement every time you login to SimSim to check for transaction history. Timed log-out from SimSim also keeps your wallet secure. I have a SimSim wallet. Where can I use it? Pay at partnered merchants through QR codes – SimSim assigns each user his/her own personal QR code, which they can use to scan and within seconds, pay partner merchants for goods and services. These transactions are completely cashless and free. Pay your utility bills from home at any hour. Get instant top-ups for your GSM network. Send money to any bank account in Pakistan. Purchase Amazon, Netflix, iTunes, Xbox, etc. gift vouchers/credit. How can I deactivate SimSim? For deactivation of SimSim, please call FINJA Customer Care Center at 042-38100050 or FINCA Helpline at 042-111-111-562. What is the FINJA Commercial User App? FINJA Commercial User App is a zero-cost payment system which allows you to accept digital payments within minutes once you signup. You can easily route payments to your existing bank account or start receiving them in your SimSim wallet. Why should I become a FINJA Commercial User? By using the FINJA Commercial User App, you can retain existing customers, expand your outreach, digitize your supply chain, explore new markets for products and achieve exponential growth for business. You can accept digital (QR Code) payments, conduct secure transactions, have visibility of all your tills. You can also see the real-time position of your business and have zero-cost sales and marketing tracking. How can I become a FINJA Commercial User? 1. Provide your Personal Information (full name, CNIC number, mobile number and date of birth). 2. 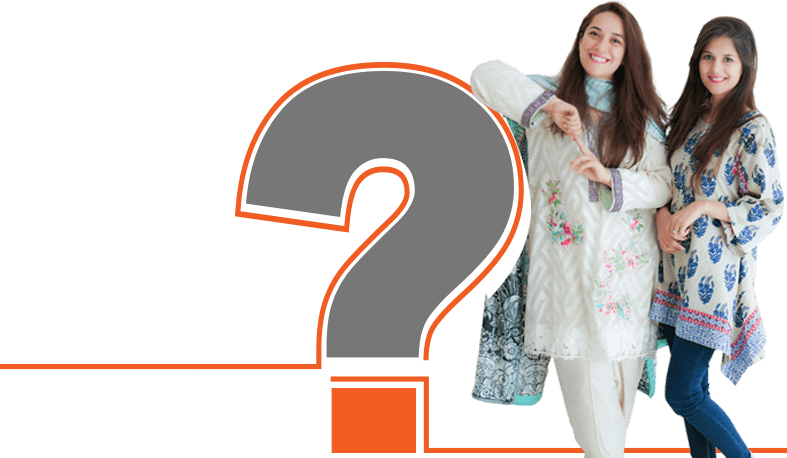 Provide your Business Type (sole proprietor, partnership, private limited/corporations) and Shop Information (name, address, location, city, email ID and password). Your merchant account is created and you can download your QR to start accepting payments. For payment settlement, you have the option to link your bank account with your merchant account OR open a SimSim wallet. How do I start using the FINJA Commercial User App? Download the FINJA Commercial User App from Play Store or App Store on your Android and iOS devices. Enter your email ID and password to login to the app, enter the name of your store/outlet in the relevant field and click the “Search” icon. The till ID tagged to your store/outlet will be auto-selected. How can I view the payment details within the FINJA Commercial User App? After you have logged in and received your Till ID, click “Submit” to view the payment details of all SimSim users that paid through scanning your QR code. Touch the "Login" button in the top right corner of your screen and re-enter your email ID and password. You can view your settlement account transactions. FINJA Merchant Portal http://devmerchant.finpay.pk/public/auth/login is a website developed for members of our network, where you can follow received mobile payments in real time, view your business performance, update your contact details, request for sticker or collateral, etc. You can log in to the merchant portal by using the email ID and password you use for the FINJA App. How do I withdraw money from the FINJA Commercial User App? The payments in your FINJA Commercial User App can be transferred to your settlement account or your SimSim wallet. You can easily withdraw money from either by using the respective accounts’ Debit/ATM cards. For transfer to any other bank account, all you require is the beneficiary bank name, branch code and complete account number, and SimSim lets you transfer money easily. Is there any limit to the amount of money or transactions in the FINJA Commercial User App? There is no limit to the amount of money or transactions. Are there any fees or charges incurred by the Commercial User? There are no extra fees or charges incurred by using the FINJA Commercial User App or SimSim. The only costs are the applicable government charges and FINJA does not charge any fees for the applications. How secure are the transactions and settlements? Only you can log into FINJA Commercial User App by using your email ID and password provided at the time of signup. In case of SimSim, your mobile number – your financial identity – and device is tagged to the application. How can I deactivate FINJA Commercial User App or SimSim? For deactivation of FINJA Commercial User App or SimSim, please call FINJA Customer Care Center at 042-38100050 or FINCA Helpline at 042-111-111-562. Does FINJA have a payment disbursement solution? Yes, FINJA has a payment disbursement solution called Payroll Plus. Payroll is a one stop cloud based HR and payment solution that is efficient, secure & convenient. How can I use Payroll Plus? You can write to us and our team will reach out to you. How much does Payroll Plus cost? It is free of cost to implement. We work closely with our clients to develop a solution that best fits their needs. We live and breath information protection and in order to establish secure systems, we have implemented bank-level security into our systems. Payroll Plus is supported on all desktop browsers. The browsers we recommend are: Chrome, Firefox and Safari (as they're simply better) but you can also use Microsoft Internet Explorer (versions IE9 and above) and many others. Yes we ensure that all your information is fully secured. We are using Firebase Database which provides full encryption. Without logging in, no one can access data. How do you backup information? We are using Firebase Database for storage. Firebase Storage is upheld by Google Cloud Storage, a capable, basic, and cost-effective object storage service. Is Payroll Plus dependant on any kind of system requirements? No, Payroll Plus is a fully web based application. All it require is an active internet connection and supported browser. Can an employee see what other employees are being paid? Absolutely not. There is no chance one employee can look at other employee’s details.